Without question, these are the perfect complement to the Samsung Galaxy S10 lineup. The earbuds' remarkable battery life separates it from the crowd of true wireless contenders, while its easy-to-operate touch controls make quick commands a breeze. For listeners who want true wireless earbuds that hush the outside world, the Sony WF-SP700N is the obvious choice. These fit well, are water-resistant, and support AAC for lagless iOS playback. Mobvoi’s first attempt at true wireless earbuds hit the mark. The TicPods Free emulate the AirPods design but, like the TrueConnect, creates a cogent seal and, like the Sony option, offers ANC. Luxury doesn’t come cheap as demonstrated by the MW07. These premium true wireless earbuds offer aptX support and an IPX4 water-resistant build. For listeners who just want the barebones essentials when it comes to truly wireless earbuds, the JBuds Air is the best cheap option. Users are afforded a durable build and stable fit for a package totaling less than $50. AirPods are great if you have an iPhone and don’t mind external noise infiltrating your ear canals while your listening to your favorite throwback hit. For those of us who are intrigued by the Apple’s truue wireless solution but want something more functional and with better sound quality, we’ve compiled a list of the best AirPods alternatives. Editor’s note: this list was updated on March 25, 2019, to replace the RHA TrueConnect with the Samsung Galaxy Buds. The Samsung Galaxy Buds are the ideal complement to the Samsung Galaxy S10 suite of smartphones. Although the earbuds don’t support aptX, they do provide AAC and the scalable Samsung codec. The latter works flawlessly with the Samsung S10e, intelligently balancing bitrate and connectivity. Additionally, if you have a Galaxy S10 device, you can wirelessly charge the earbuds by placing them atop the phone; nifty. 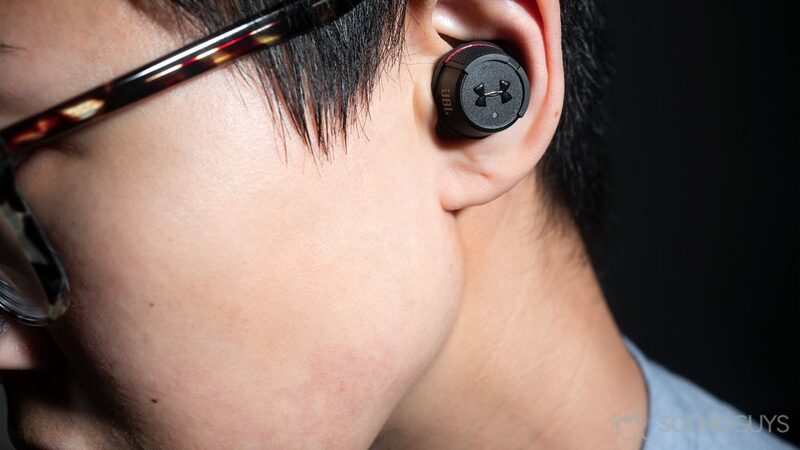 Additionally, the earbuds operate via Bluetooth 5.0 and maintain a reliable connection within the 10-meter range. If you do happen to stray from your phone, the earbuds support Google Assistant; so you can tell it to skip tracks or create an event. With the dual-microphone array, your respective assistant will always hear your commands. Although the Galaxy Buds are only IPX2-certified, they withstood my runs and gym visits without issue. By far the best feature of the Buds is the insane battery life: these allow for 6.53 hours of constant playback on a single charge. Plus, when the battery does deplete, just 15 minutes in the case provides an additional 1.7 hours of listening. Audio quality is excellent if you’re using the Galaxy Buds with a compatible Samsung device. Unfortunately, AAC on Android leaves a lot to be desired, but the AKG-tuned drivers deliver a clear, neutral-leaning sound that bodes well for a variety of genres. The Crazybaby Air 1S are like other true wireless earbuds in that one ‘bud is designated as a primary receiver and relays the signal to the secondary earbud, resulting in all-too-familiar dubious true wireless connectivity. We all agree: wireless headphones can’t keep pace when compared to wired alternatives, at least not yet. If you’re an iPhone user looking for AirPods alternatives, you’ll want to look at ‘buds that support AAC. If, on the other hand, you’re an Android user who’s drawn to the AirPods but don’t actually want them, go for picks with aptX support. In a similar vein, true wireless connectivity isn’t as reliable as regular wireless earbuds, because the earbuds don’t connect simultaneously to your phone. Rather they go from the primary earbud to the secondary one. Isolation, or lack thereof, is what makes the AirPods sound so bad. External noise is allowed to seep in and mask the sound reproduced by the AirPods. Although this is safe when walking around a city, it’s bad for audio quality. Ultimately, how your in-ears fit greatly impacts audio quality, and sometimes third-party ear tips are the best solution. Battery life isn’t great with any of these picks when compared to traditional wireless counterparts. Thankfully, charging cases are a given. While three or five hours may not seem like much, it helps that the ‘buds charge when inactive. Sony’s been flexing their noise cancelling technology demonstrated by the WH-1000XM3 over-ear headphones. The company’s true wireless noise cancelling option is a nice, more portable option to have though. These earbuds are also water-resistant, although less so than the TrueConnect, and have been awarded an official IPX4 certification. The fit is stable and comfortable, making the ‘buds a great option for athletes and commuters alike. If you do happen to commute with them, the noise cancellation will effectively combat low rumbles but can’t counteract abrupt, sharp noises very well. Arguably one of the most frustrating things of these true wireless earbuds is the amount of concentration required to place them in the case. It’s surprisingly easy to think that you’ve done a fine job and that the earbuds are charging only to realize a few hours later the ‘buds were off by a millimeter and never actually charged. Although the WF-SP700N doesn’t support aptX, AAC is supported which is good for iPhone users looking into AirPods alternatives. On the whole, these are an excellent pair of true wireless earbuds and the best when it comes to active noise cancelling technology. If your top priority is something that most resemble’s Apple’s AirPods than the Kickstarter-conceived Mobvoi TicPods are a favorable choice. Like the Sony WF-SP700N, these earbuds boast noise cancelling capabilities—though they beat out by the Sony model—and support AAC. What’s more, the TicPods may effectively insulate listeners from their surroundings because of the angled nozzles that protrude from the earbud housings. Bass response if exaggerated yet enjoyable and the overall sound signature is consumer-friendly. During testing, Chris did have a bone to pick with the included ear tips, which often slipped from the nozzles, but this can easily be remedied by investing in a pair of third-party ear tips. Master & Dynamic, a Brooklyn-based premium audio company, also tried its hand at true wireless with the MW07. Everything from the stainless steel charging case to the acetate housings scream extravagance. Heck, even the 10mm beryllium drivers are sleek even if invisible from the outside. It’s not only about form, however; the MW07 can stand a bit of water as proven by its IPX4 rating. What’s more the functionality of the playback controls makes blind commands easy and convenient. If we had to nitpick one thing, it would be the battery life, which is average for true wireless earbuds. That said, if you want your truly wireless earbuds to be recognized as a piece of modern art, the MW07 is the opulent choice. 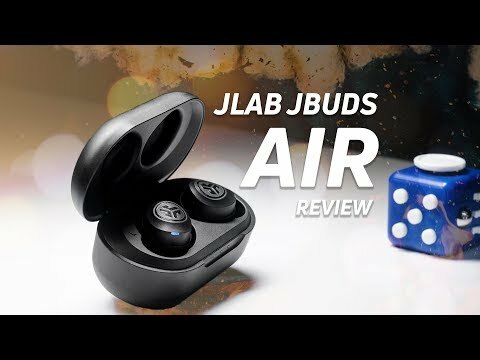 The JLab JBuds Air doesn’t offer aptX or AAC support, but the earbuds are IP55-rated, provide a stable fit, and the whole package can be had for less than $50. When it comes to running and working out, there isn’t yet a better bang-for-your-buck pick, especially considering that the earbuds provide a menu of comprehensive controls. Naturally, as one may expect with cheap true wireless earbuds, this AirPods alternative forgoes design: the ‘buds are bulky. That is, however, counteracted by the included Cush Fins, which aid in maintaining a stable fit that can withstand vigorous movements. Whether you want to save a buck or get something for your most gruesome exercise regimens, the JBuds Air earbuds can take whatever’s thrown at them. To pair the Earin M-2 with your phone, take one earbud out of the case and pair it; then, remove the other to connect the two. Crazybaby Air 1S: These true wireless earbuds are sleek and water-resistant but are a bit expensive for their performance which is outshined by the TrueConnect and TicPods. Rowkin Ascent Charge Micro: These earbuds don’t support aptX or AAC and may be uncomfortable for some small- to- average sized ears. They do include an AirPods-like charging case though. Earin M-2: If you’re interested in the idea of premium true wireless earbuds but think the MW07 too bulky, the Earin M-2 feature a sleeker, arguably sexier design. Jabra Elite 65t: These true wireless earbuds still stand as the best all-around true wireless earbuds available, but they beat out by our top picks when it comes specifically to AirPods alternatives. Anker Soundcore Liberty Air: These true wireless earbuds support AAC and offer excellent battery life for the sub-$80 price. RHA TrueConnect: This pair of former best AirPods alternatives rocks a similar stem design with Bluetooth 5.0 support and an IPX5 certification. If you want kicking bass, this is the pair to get. We strive to provide our readers with practical and reliable picks for our best lists and understand that audio is both an objective and subjective experience. The former is why we champion our in-house testing which we subject as many products to as possible, and the latter explains why we’re cover as much as possible about a particular product for its respective review. Tuned by AKG, the Galaxy Buds reproduce an accurate sound with minimal distortion. The Samsung Galaxy Buds are able to effectively isolate the listener from external noise, which promotes greater bass response. Bass emphasis is apparent when listening with the RHA TrueConnect, but it manages to avoid gross masking of midrange frequencies. Passive isolation is excellent with these earbuds, which can easily handle background chatter and the hum of an A/C unit. Sony seems to try very hard to emulate an equal loudness contour with its tuning. Adding a little bit of emphasis to the low-end goes a long way here. With a very consumer-oriented sound, the Mobvoi TicPods Free boost bass, a little treble. The TicPods are pretty great at isolating you from the outside world—though low rumbles will still get through. The most notable emphasis is with low-end and lower midrange frequencies. This is appropriate for exercise but may not be desirable for casual listening. As you can see, the frequency responses of the selected picks vary widely, which can be good since it provides an array of sound signatures for readers to choose from. Some picks isolate better than others, though; take, for instance, the RHA TrueConnect, which do an excellent job at isolating external noise by seal alone. We work relentlessly to better understand the world of audio. Individually, each of us has multiple years tracking the audio industry, affording us as a team diversified skill set that we use to make the research side of consumer audio less intimidating for our readers. The earbuds protrude from the ear but are reasonably bulky. Regardless of what you end up purchasing, if you end up purchasing anything at all, none of our writers may benefit from picking one product over another. In fact, none of the writers will ever know if a link was clicked. If you’re curious, our ethics policy is publicly available, but at the end of the day, our goal is for you to be happy and walk away more informed.